UK pro John Skye wrapped this year up in a respectable 8th on the PWA wave tour. Check out his latest clip as he hits up Maui and South Africa. I really should go somewhere different, but everything is so set up for the South Africa/Maui winters. Roberto has base camp set up in South Africa for all the testing, and then we always head to Maui for the photoshoots. I get sailing on both sides, conditions are always great and I guess the biggest factor is we have learnt over the years the best way to the most out of each trip. So this is South Africa and Maui – Again! Check out this insane action clip from Boujmaa at his home in Morocco. Mattia Pedrani known for his freestyle and beats, has been spending some time in the waves, just check out his latest clip from Oman. This year I’ve decided to switch things up and make a single clip with both freestyle and wave. Luckily we got some pretty nice conditions this year, and I’ve tried to wavesail as much as possible, managing to pull out some pretty nice moves. 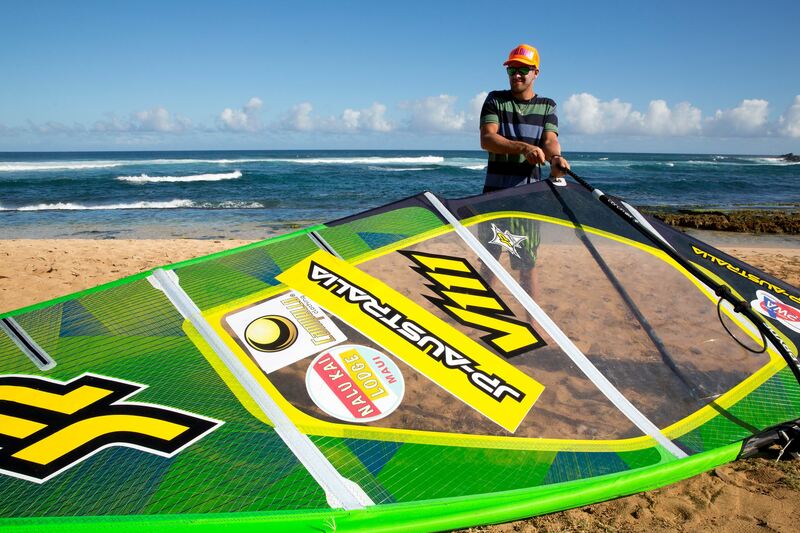 Kauli Seadi is at home in Brazil and headed to Ibiraquera for some port tack wavesailing. When I read my first Windsurf magazine there was a shot of Ross mid back loop on an old blue board and yellow Gaastra sail beautifully shot from the water by John Carter. There was this stunning steep backdrop and I remember not being able to work out in my head how you could be jumping so close to a cliff and that England even had places like this. It was basically where my obsession with windsurfing all started. That picture was cut out and stayed on my bedroom wall for years. A couple of days ago I went over as a foot passenger on the hover craft from my home town Portsmouth with one board bag, a tripod and my camera stuff to score a day at Niton. I filmed for 2 hours with one battery then went for a sail. The conditions aren’t exactly classic Niton and was a bit onshore, but nevertheless I like the clip and is one that’s a bit special to me.